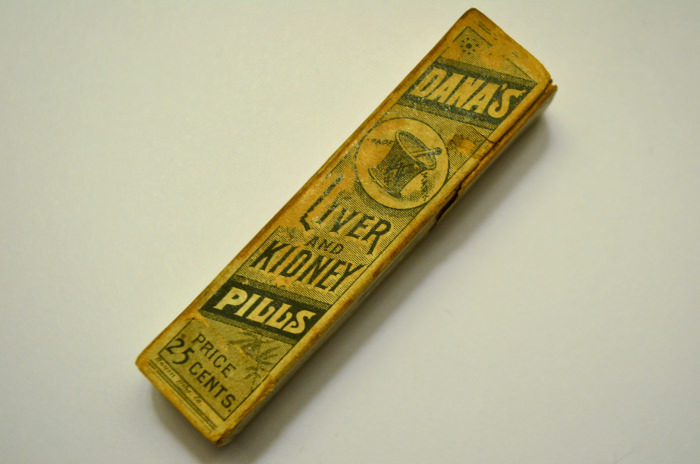 Dana's Liver & Kidney Pills! 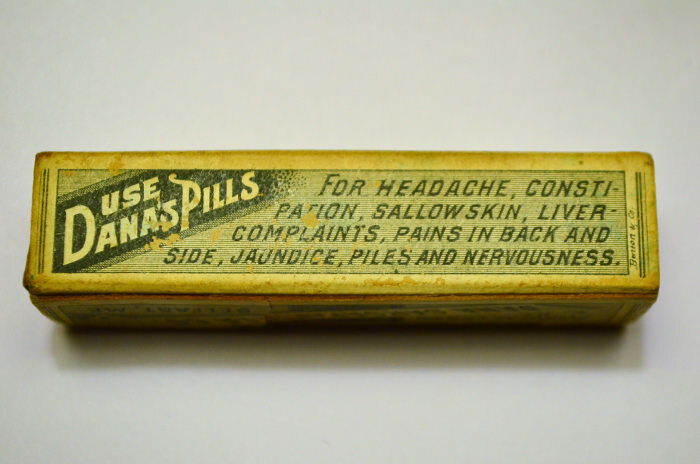 Thread: Dana's Liver & Kidney Pills! Been a while since I posted on here! I moved to MoCo Maryland a year and a half ago and I soon found that finding antique bottles here is... Next to impossible. Compared to my previous stomping grounds of rural NH, there is no comparison. I have not added a single bottle to my collection since moving here that I didn't pick up off of eBay or find on my trips back to NH, and the only good bottle I found was a bizarre townless Maine slug plate milk that somehow ended up in a thrift; That one went up on eBay and did surprisingly well. My last trip back to NH was a productive one. 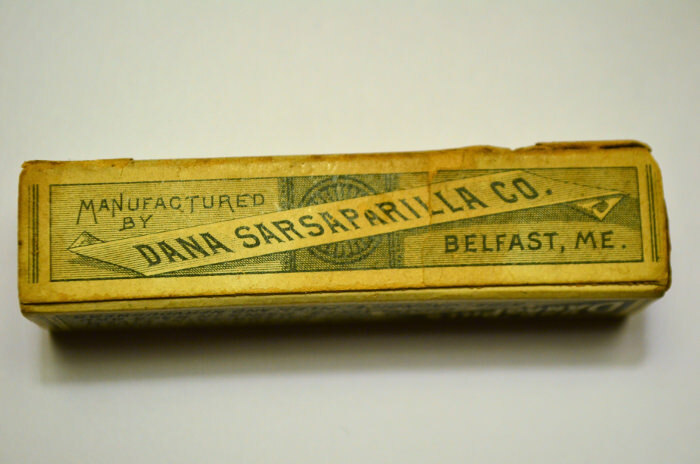 Everyone's heard of Dana's Sarsaparilla, being that it's a real common Belfast ME med, but apparently they made Liver & Kidney pills too. 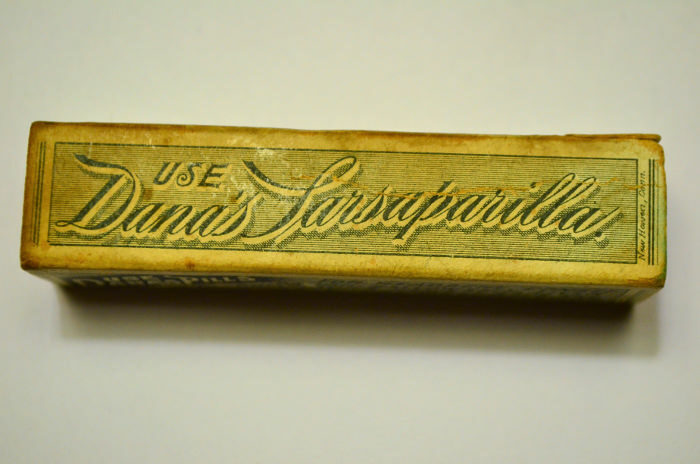 I didn't know Dana's had other products but I guess it isn't too surprising. This is a tiny box, measuring just under 3" and contains what I assume is a glass vial. I unfortunately have no way of getting it open without ripping the box to shreds as the flaps were factory glued shut it seems. It's a first for me and I can't find any references to it online. Anyone else come across one of these guys? Very nice. Love the lettering and graphics. BTW, use a razor blade (recommended-- it's what I use) or very thin knife to cut the flaps. You can either cut where the glue is (kinda a slow sawing), or you can neatly cut the edge where one flap attaches and neatly repair that later if so desired. I wanna see what's inside.